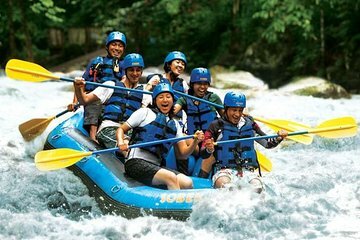 Perfect for anyone who loves both nature and adrenaline, this full-day eco-adventure includes a white-water rafting trip down the Ayung River and a visit to the Sacred Monkey Forest Sanctuary. Soak up the nature as you float down the Ayung River, get up close and personal with macaques, and taste real coffee at a coffee plantation. Tour includes round-trip door-to-door transportation from your hotel.